 Since our inception, Jamison Chiropractic Center has been dedicated to making chiropractic and other natural, drug-free, alternative health care methods available to the residents of our area. Our commitment is to providing health options, and helping our patients reach their health care goals. This is our commitment to you, our patient! The sole purpose of our office is to help as many people possible reach their health care goals through chiropractic and massage. We respect your right to decide what level of health is appropriate for you. We will offer alternatives and options to help restore your health to the highest degree possible, then work as a partner with you to reach the level of wellness that you prefer. Our staff will strive to deliver high quality care in a prompt, professional and efficient manner. We will provide old-fashioned care and concern in a modern world. We will offer you options involving chiropractic, physiotherapy, nutrition, exercise, personal motivation, and lifestyle modification. We will help to educate you to enable you to make better choices involving all these options. This will empower you to get relief, correct the underlying problem, and regain your optimal health, if you so choose! Our office will work to deliver this quality care in a cost-effective and affordable fashion. This has been our Mission, and shall continue to be into the future. We look forward to serving you, our patient,in the fulfillment of that Mission.